Trikes and (odd) bikes. : 27th June 2018 Whizz, bang, wallop, RIP! Wednesday 27th 67-78F, 20-25C, bright with a little cloud and light winds. Another scorcher promised. I walked to the village and back as the temperature increased rapidly. The Danish government has made a bold and some say foolish deregulation of, so called, high powered electric bikes. These will be allowed onto cycle paths against strong expert advice. Their 45kph [28mph] speed limit will be very likely to endanger other, much slower cycle path users. Just as do some drooling morons on motor scooters already. The idea is that the faster machines will no longer need to carry number plates or the riders hold a driving license. Though they must wear a cycle helmet by law. Statistics already show a massive excess of electric bicycles involved in injury causing accidents compared to the vastly greater number of pedal driven machines. My reading of this is the inability of previously slow cyclists to cope with increased speed. Higher speed requires intense concentration and alertness to potential danger from all directions including from the rear. Higher speed means overtaking vehicles have much less time to pass before an oncoming vehicle arrives. Add in the inability of many drivers to judge the approach speed of a faster traveling bicycle and there is plenty of room here for mayhem. Higher speeds need better brakes and much better tyre adhesion, lots of experience and enhanced anticipation. Particularly on damp or wet roads, with fallen leaves, etc. Most local cycle paths here in Denmark are never swept of leaves, gravel or sand. Moraines of private gravel drives overflowing from unbelievably selfish, home owners is completely the norm. Composting leaves, twigs and branches build up over many years. While the road alongside is obviously swept by a larger machine unable to cope with the narrower paths. The elderly are poorly prepared for higher speeds after a lifetime of pedaling a heavy 'garden gate' upright cycle at a mere 10kph or 6mph. 28mph is about the speed of the elite Tour De France racing cyclists when riding hard. These riders have usually spent years, constantly practicing their craft and avoiding countless dangers, per mile, just to survive. 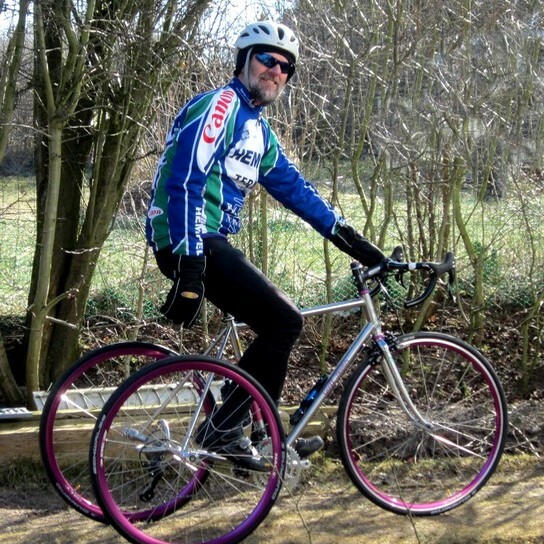 Older racing cyclists may have slowed but they do retain their extended experience. Most electric bike buyers will not come from this background. Those electric bikers I see are often elderly but traveling at speeds I can no longer manage, except downhill. This is on the much lower limited machines. of 25kph which is only 15.5mph. When I am traveling at that speed on the flat I overtake every other "normal" cyclist. Which strongly suggests that average cycling speeds are very low indeed. Cycle speed is severely limited by wind resistance. Beyond 10-12 kph it is wind resistance which requires a level of power input to the pedals which defeats most normal people. They become breathless, hot a sweaty and suffer the pain of rapidly increasing fatigue. It takes many miles of determined effort to improve one's cycling speeds. The vast majority of ordinary cyclists do not consider it worth the pain to try. So average speeds remain comfortably and safely low. I am not being overly negative here, merely cautious. There is surely room for compulsory, basic training with the purchase of an electrically assisted cycle. The higher powered machines are a special case and should require more training and a license to prove satisfactory completion of the course.It should not be forgotten that a petrol driven moped, even with the lower speed limitation, would still need a license following an official training course. The electric bicycle has a lot going for it even at this early point in its evolution. It provides an instant increase in speed and [probably range] without any more than an investment in the purchase of the machine. No special ability is assumed. No previous experience is assumed. No greater mechanical understanding of the safety aspects, like efficient brakes, is assumed. Is the instantly greater speed of the machine compensated for in adequate handling and braking? Many expensive, electric cycles look just like cheap and heavy, city roadsters with a motor tacked on. Shouldn't efficient disk brakes be the norm on these machines? Shouldn't there be an upgraded cycle helmet somewhere in the equation? Young people are the most likely buyers of these higher powered electric bikes. There is the old saying that you cannot put wise heads on young shoulders. In a recent, highly publicized, Tesla car crash, the vehicle was being driven at 116mph just prior to pulling out in an attempt to overtake on a bend clearly marked 25mph. The driver was 18 years old and both he and an 18-year old passenger died. A third in the back seat was thrown clear and badly injured. Wisdom is equally absent however wealthy the young head making the life and death decisions. The Tesla has class leading safety features. What about all those electric bikes? What happens when young people start to compete on the local cycle path? Which is always narrow, often wet, gravel covered, bumpy and littered with ordinary cyclists. Who are mostly travelling at 1/4 of that of the young, electric, Adrenalin-fueled hero's, effortless speeds. Imagine a town where the speed limit is set up to 120mph but only for electric motorbikes.